Italian Riesling is the most common variety of grape vineyards Fruška Gora. 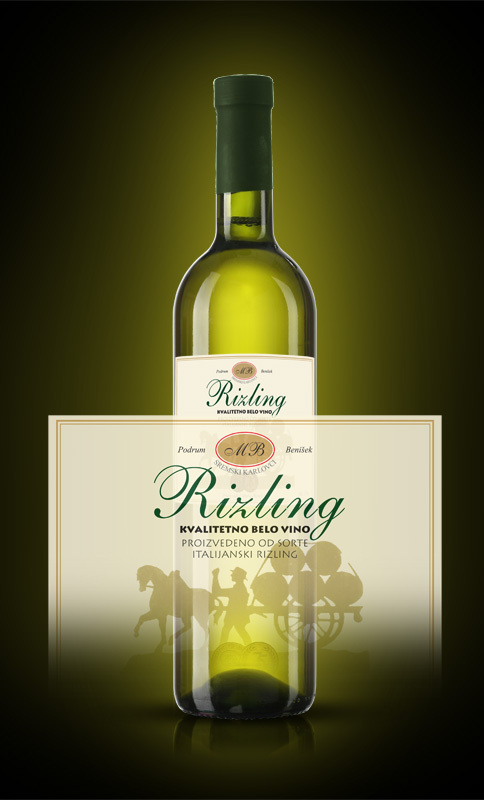 Wine of this variety is one of the most popular in the domestic market. Benišek Mario riesling is a very drinkable wine, refreshing, harmonious, pale greenish yellow. Mature and well-nurtured wine has a specific noise type. Served chilled, at room temperature 10-12 ° C, his adaptability to different kinds of dishes, white meat, with precious marine and freshwater fish, make it an indispensable part and luxurious gourmet delights. Who is a tried-quality Riesling will never forget it!